Today was the hand-over of the ISS from Expedition 36 Commander Pavel Vinogradov to Flight Engineer Fyodor Yurchikhin, who will officially lead Expedition 37 when Expedition 36 undocks Tuesday. 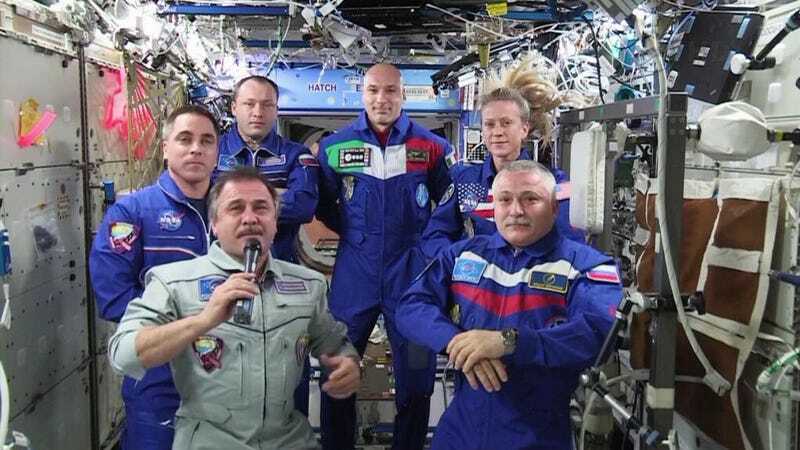 The number of humans in space will drop to three (with Commander Yurchikhin will be Flight Engineers Karen Nyberg and Luca Parmitano) until they are joined by the next trio of crewmembers on September 25. Meanwhile, astronaut candidate Christina Hammock made fire during the three day wilderness survival training portion of the astronaut training program.